For a number of years now, Lowest Price Technically Acceptable (LPTA) source-selection procedures have come under fire for overuse and misuse at the same time budget constraints make LPTA methods more enticing to some cash-strapped agencies. In an LPTA procurement, the Government evaluates proposals for mere technical acceptability under the solicitation’s stated evaluation criteria. Of the technically acceptable proposals received from eligible offerors, the Government then awards the contract to the lowest-price proposal, without considering any additional value that more expensive proposals may provide. 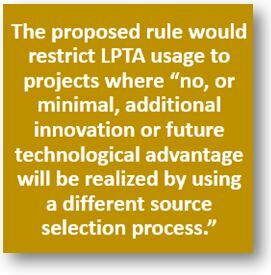 In an LPTA acquisition, it does not matter that the second least expensive proposal may have three times more technical merit than the lowest-price technically acceptable proposal. Even if that technically superior proposal is only a dime more expensive, the Government is required to make the award to the acceptable proposal that is ten cents cheaper. Some of you may remember that, way back in 2016, Congress passed the National Defense Authorization Act (NDAA) for 2017, requiring the Department of Defense (DoD) to revise the Defense Federal Acquisition Regulation Supplement (DFARS) within 120 days to require DoD contracting officers to ensure six criteria are satisfied before issuing a solicitation on an LPTA basis. Two years after Congress required clearer criteria on when the Defense Department could issue lowest price, technically-acceptable (LPTA) contracts, Pentagon contracting officers still lack adequate written guidance, the Government Accountability Office (GAO) concluded in a recently released audit. FAR Part 15 describes the use of several competitive source selection processes to meet agency needs, which include the LPTA process and tradeoff process on a best value continuum. 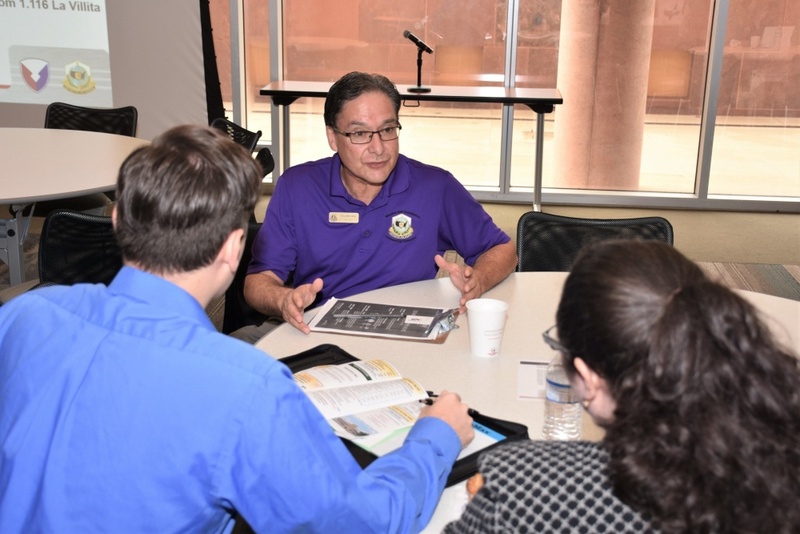 Acquisition regulations don’t come with CliffsNotes, so members of a High Performance Team wrote 21 pages interpreting them and won a Department of Defense level award June 28 for their work. The HPT members from Hanscom Air Force Base and several other major acquisition bases came together to better navigate what is commonly called Federal Acquisition Regulation 16.5. Their findings generated a 21-page Guiding Principles document, incorporated into Air Force Materiel Command’s Informational Guidance this past August and winning a 2017 Department of Defense Value Engineering Achievement Team Award. The tips laid out in the team’s document can reduce acquisition cycle times, saving money while getting products to warfighters faster. Those with Air Force network access can read the final product here. To produce it, the HPT combed through 57,000 contract actions. By the team’s own estimate, those who use tactics outlined in the guide can save an average of seven weeks per order. If every program that could use these acquisition methods did so, it would streamline the process for 15 cents of every dollar the Air Force spends, for a total of $9 billion.